Every computer connected to the Internet is provided with a domain name and an IP Address. When a visitor requests a page from within the Acclaim Group website, our Web Servers automatically identify and log the HTTP request that is made to our Web Server. This information reveals nothing personal about you. In fact, the only information that we automatically gather and log is as follows: The IP Address of the Site that may have Referred you; Your IP Address; The Web Page that you may have linked to us from, if any; The Product Identifier for Version and Make of Browser (e.g. Internet Explorer 5.5); The Operating System platform that you may be running (e.g. Macintosh or Windows); Search Words or Terms that are passed from a Search Engine (e.g. Google, Yahoo). Acclaim Group has found it advantageous to examine visitor traffic in its aggregate, so that we can ensure maximum compatibility for the various Browsers and Operating Systems that visit our site. By analysing visitation patterns, referring URLs and Search Engine terms, we can strategically enhance our exposure on the Internet. Cookies are small pieces of data that are transferred to your computer’s hard drive through your Web browser from our Web Server. A cookie cannot read data from your hard disk or read cookie files that may have been created from other sites. The Acclaim Group website employs cookies as a means of providing personalisation features to our visitors. What other information does Acclaim Group request? We may also request your e-mail address or mailing address for the purposes of conducting a survey, adding you to our mailing list, or by your request to have someone contact you for additional information. Whenever we request the identity of a visitor, we will clearly indicate the purpose of the inquiry before the information is requested. We maintain a strict “No Spam” policy that means we do not intend to sell, rent, or otherwise give your e-mail address to a third-party, without your consent. In addition, Acclaim Group will not send you e-mail that you have not agreed to receive. If you are a member of our Mailing List, you will be contacted with announcements, news, portfolio additions, and new products or services. You have the option of “Unsubscribing” from our Mailing List at any time, thereby disabling any further such e-mail communication from being sent to you.  If you wish to have specific communications with a member of the Acclaim Group staff, you will be required to provide specific information that will be routed to the appropriate contact within Acclaim Group. Acclaim Group will disclose your personal information or any of its log file information when required by law or in the good-faith belief that such actions are necessary to: Conform to the edicts of the law or comply with a legal process served on Acclaim Group; Protect and defend the rights or property of Acclaim Group, or visitors of Acclaim Group; Identify persons who may be violating the law, the legal notice, or the rights of third parties; Cooperate with the investigations of purported unlawful activities.